The love that China has shown to Aamir Khan's acclaimed Dangal goes right to the top. News agency PTI reports that Chinese President Xi Jinping watched and liked the film and that he told Prime Minister Narendra Modi so - he also remarked on how well Dangal is doing in China. Both premiers are currently attending the Shanghai Cooperation Organisation Summit in Astana, Kazakhstan. That PM Modi and Xi Jinping had this Dangal conversation was revealed to the press by Foreign Secretary S Jaishankar, after talks between the two leaders on how to improve India-China relations concluded. Dangal, a true story of how a wrestler from a Haryana village defied disapproval to train his daughters in his sport, released at home last December and in China on May 5. It has since made over Rs 1,100 crore in China alone, shattering several records on the way, and is currently the highest-earning non-Hollywood film in the country. Dangal released in China as Shuai Jiao Baba (Let's Wrestle, Dad) across 7,000 screens. 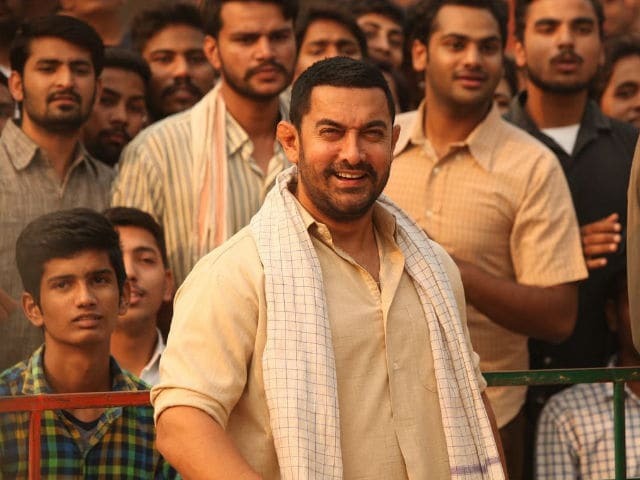 "While we were hoping that Dangal connects with the people of China, not in our wildest dreams we thought that this is the kind of connect we would have. It was unprecedented. We are pleasantly surprised," Aamir Khan told news agency IANS last month. Aamir's previous films, such as PK and 3 Idiots, also performed tremendously in China. At home, Dangal rose to the top of the charts when it released to five-star reviews on December 23. The Nitesh Tiwari-directed film stars Aamir, 51, as wrestler Mahavir Singh Phogat, Sakshi Tanwar as his wife Daya, and actresses Fatima Sana Shaikh and Sanya Malhotra as their daughters Geeta and Babita - who won India's first medals in female wrestling at the 2010 Commonwealth Games. Aamir Khan and Fatima Sana Shaikh are currently filming Thugs Of Hindostan, also starring Amitabh Bachchan.